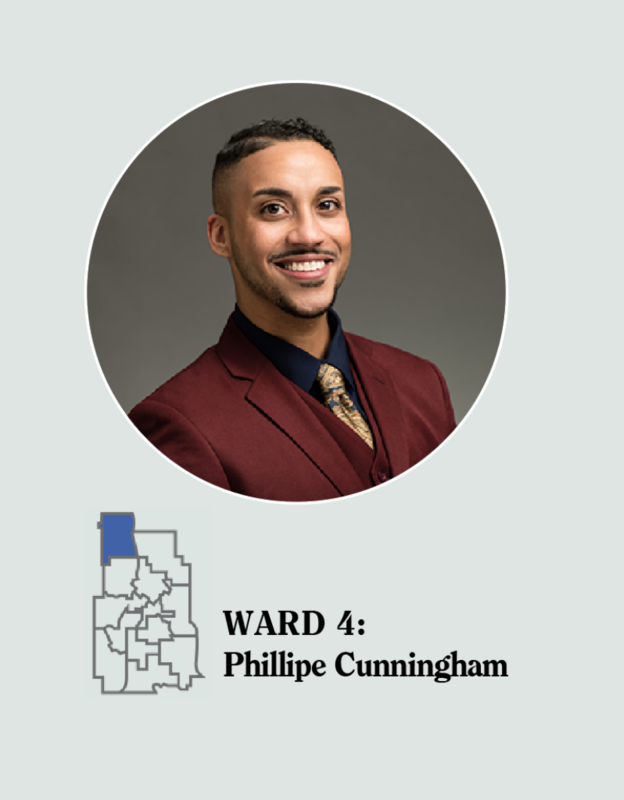 Minneapolis City Council members Phillipe Cunningham (Ward 4) and Jeremiah Ellison (Ward 5) were inaugurated in January 2018. North News has invited them to keep in touch with the community through this monthly column in our newspaper. Happy April, neighbors! Daylight Saving Time has arrived! Our days are getting longer, so we get to enjoy the sun a little more after this bitterly cold winter. Also, Earth Day is coming up! Environmental stewardship is very important to me, and as I have learned from serving our community, it’s also very important to many of you, as well. Now more than ever, we must consider how to preserve our planet to ensure that its best parts remain for the generations to come. I wanted to take some time this month to share a bit about the origins of Earth Day and share some actions you can take ahead of Earth Day – or every day – to be great stewards of our environment. Earth Day’s creation was led by a Wisconsin senator, Gaylord Nelson, and how he was moved to make change after a three-million-gallon oil spill off the coast of Santa Barbara, California, in 1969. This had a devastating effect on marine life, spurring the creation of the National Environmental Policy Act in 1970. In December of 1970, the federal government would establish the Environmental Protection Agency, or EPA, which is tasked with ensuring environmental protection by way of cleaner healthier environment for all. I would be remiss in not also addressing that the EPA is one federal agency that has faced significant funding cuts in recent years, despite the ever-growing importance of their work. The first Earth Day occurred mid-1970, with thousands of colleges, schools and communities driving the efforts by participating in peaceful demonstrations for environmental reform. There was another successful Earth Day event in 1990, and another in 2000, at which point efforts were directed towards creating an annual event. Some key ways for us to celebrate Earth Day year-round are small adjustments to our daily lives. It does not have to be something big, such as installing solar panels on the roof or buying a zero emissions vehicle. Things like consciously conserving resources (like turning off running water while doing dishes), and educating our communities on ways to reduce our carbon footprint by recycling, composting and picking up litter. In my case, I made a lifestyle change to a plant-based diet. These are all things we can do to help the world we live in last for our future generations. This month, I challenge you to find some small ways to help save the planet. If you have got some time to learn about how to take action, please take a look at https://www.earthday.org/. I want to talk a little about the Renter-First policy Council President Bender, and I co-authored and passed this past full council meeting. It’s an internal, and relatively technical effort that relates primarily to how the city will engage its code enforcement for rental properties. It might not be the sexiest work, but it’s a big deal, especially when placed in the broader context of all the renter protection work forming at the city right now. In short, the policy seeks to move us one step closer to addressing that seemingly impossible question: how do you hold slumlords accountable without displacing, thus punishing, their often-vulnerable tenants? Because when a landlord gets their license revoked (and, by that point, they often deserve it) the renter is the one left scrambling to prevent themselves from becoming homeless. The answer was quietly happening within our Regulatory Services department itself, where housing inspectors and their leadership were recognizing the need to consider the consequences for tenants facing displacement, and the need to revive some underutilized tools at the City’s disposal. One such tool is the Tenant Remedies Action (or TRA), a tool that could empower tenants to get repairs their landlord may be neglecting, preventing properties from falling into complete disrepair in the first place. In some ways, the Renter-First policy is a way to formalize and expand upon the work that’s been quietly happening already. The policy is broader than code enforcement, and not very long, so please take the time to read through it if you’re curious to learn more about its purview. I usually try to keep these columns City Hall specific, but I have to take a moment to express my deep anger and sadness regarding the New Zealand terrorist attacks that happened recently. White-Nationalistic terrorism has been a growing concern worldwide, and at one point or another, has felt extremely close to home for many in our community. Whether at the Emanuel AME Church in Charleston, the Tree of Life synagogue in Pittsburgh, or this most recent shooting, no faith community seems to be spared from this practice of hate and madness. I’m a practicing Muslim myself, and the loss of life has been difficult to cope with. As a big believer in liberty above fear, it’s been difficult to accept that many of our faith institutions are being forced to question whether their “open-door policy” could lead to loss of life. Can we afford to be welcoming if it leaves us defenseless against mass shooters? My idealistic self would like to think that we should double down on our open-door policies, because isolation is a part of the terrorist’s goal. But I have to admit, I don’t have simple answers. I do know that it’s more important than ever to galvanize around the concepts of community and justice. I believe that our collective efforts to right current and historic wrongs, to build coalitions in unlikely places, and to assert our value as a diverse community is a powerful and scary thing to the people committing acts of hatred. Thank you, and as always, I look forward to seeing you out in the community! Call my office at 612-673-2205 or email me at ward5@minneapolismn.gov.